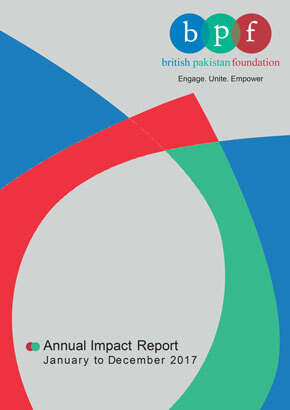 British Pakistan Foundation is onto a good thing. 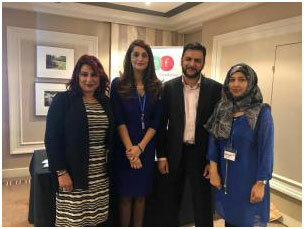 It has identified a niche in the market for tailor-made courses run by Eddison Knight recruitment consultants, to assist women of Pakistani heritage in their career and professional development. Yesterday was International Women’s Day. I had originally dismissed the day as a gimmick as surely every day should be regarded as a Women’s Day. However, I had an invitation to the Women’s Leadership Programme, held in swanky Mayfair at the Lansdowne Club and was intrigued to know how this day could really be celebrated. I attended the event where I met some exceptionally articulate women; some were already highfliers in their fields, others were mid-career in their chosen professions. They all had ambition, drive and above all, they all had their own unique stories to tell. 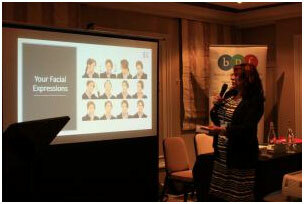 Eddison Knight presented an excellent workshop at the BPF event on Communication and Assertiveness. It was an intense seminar excellently presented by Yasmin Ali and Mohammed Khan. The audience were so engaged that it ended up overrunning due to the number of issues the women had never previously had the opportunity to discuss. The Consultants gave tips on how to articulate common problems at work in a constructive manner, and advised on the necessary skills to overcome them. The topics explored included set-backs such as not feeling one was being listened to in the workplace, intimidating behaviour. The importance of presence, voice, assertiveness, persuasive language as well as expressing grievances in the correct manner. We learned that body language, use of humour, as well as finding commonalities with colleagues; fear of being labelled “bossy” or stereo-typing all had a part to play in the hindrance or progress we made. The consultancy company illustrated their points by enacting role-plays and requesting audience comments. 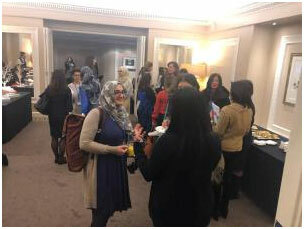 Out of this feedback emerged some pertinent issues that British Pakistani women faced, and a realisation by the hosts and presenters that the topic of female leadership and assertiveness within the community was something that needed much deeper exploration. The cultural expectation that women should behave a certain way – the conditioning that good women are always compliant and agreeable, and how this does not always translate well in the workplace leaving many at a disadvantage in navigating obstacles at work. The challenge to unlearn these behaviours without feeling guilty. The straddling of two diverse cultures where expectations in both worlds can be starkly different. Of course there are exceptions and not all women will have experienced this paradox, but there was a general mood at the event that this conflict resonated with many. Another issue to emerge was the universal topic of women holding back other women. I would highly recommend the course and I look forward very much to the next instalment of the programme and ensuing discussion. I would also recommend that these courses are rolled out on a much larger scale to aid the community in both deprived and affluent areas. They are also just as relevant for men as they are for women, since men will also have their own experiences and issues to discuss. 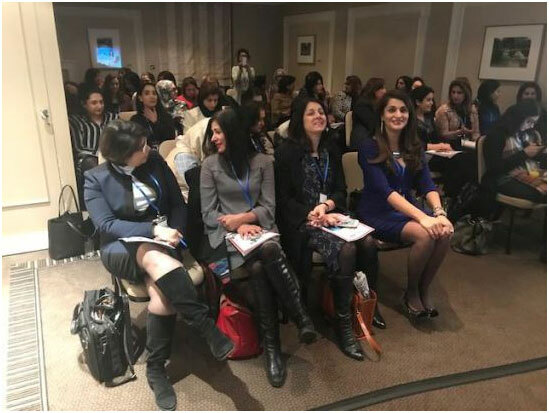 I was inspired by the fact that none of the women in the audience expressed any victim mentality in relating their challenges, despite having experienced past set-backs they had veered ahead and taken lessons. There was acknowledgement that in some scenarios unconscious bias could be a factor, but the focus was very much on constructive solutions using resilience and determination to overcome barriers and break through glass-ceilings. We must pay tribute to our women. Many of the women in our community were the first in their families to attend university, equally many were the first to enter the field of work; this is no small feat. These women have broken barriers and glass-ceilings of their own, and should be commended for this historical achievement where we have had no previous legacy. Many other communities started on this journey some generations ago, so as women of Pakistani heritage, we should not be too hard on ourselves but instead endeavour to continue the journey forward, imparting our unique experiences, professional knowledge and education with our community, peers and children. The journey is a long one, but we have already begun and will not stop now. Do join BPF: it is an excellent platform to network and take advantage of their developmental, training and mentoring courses. They are helping to assist the British Pakistani community and are well placed to understand its needs. They are refreshingly secular and all types of people regardless of sect, religion are welcome. One of the rare platforms that is not coloured by divisive topics like religion or politics. The course attracted a multitude of women both religious and secular and it was lovely to see so many united in sisterhood yesterday.